Diana Ross, Smokey Robinson, Marvin Gaye, Michael Jackson with the Jackson 5, The Supremes were just a few of the acts that changed the course of American and World music. 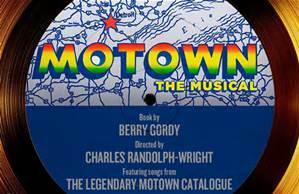 “Motown—The Musical” is the story of Berry Gordy’s journey and how he had us all move to the same beat. From the 1950s on most people, when hearing the performers of Motown sing a song, will be taken back to another time in their lives. In 1983 at the Pasadena Civic Auditorium recording stars are gathered to celebrate the 25th anniversary of Motown Records. In a flashback, in Detroit, Michigan the young Berry Gordy watches the neighbors dancing. In 1957, the adult Berry forms his own record label and so “Motown—The Musical” starts. “Motown—The Musical” opens tonight at the Adrienne Arsht Center in Miami, Florida, to continue its successful tour across America before returning to Broadway in July of this year.